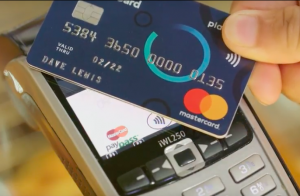 Mastercard Launches Campaign to Push New Zealand Retailers to Accept Contactless Payments | NFC Times – Near Field Communication and all contactless technology. Mastercard is seeking to encourage more merchants in New Zealand to accept contactless payments, pointing to strong use by consumers but also survey results that show consumers are frustrated when they don't find merchants that allow them to tap to pay. NFC TIMES Exclusive Insight – Mastercard has launched an initiative to encourage retailers in New Zealand to adopt contactless payments, noting that nearly three-quarters of New Zealanders use contactless. It’s unclear whether the apparent popularity of contactless payments with cards is translating into more use of NFC-enabled smartphones to make purchases, however, and New Zealand has not seen a strong NFC-enabled mobile wallet emerge. But Mastercard said it wants to insure that New Zealanders have enough places to tap to pay either their cards or phones. Mastercard launched a website, www.switchonnz.co.nz, to try to convince the merchants. The Australasian Acceptance Development Fund, which is made up of four New Zealand banks, ANZ, ASB, BNZ and Westpac, is working with Mastercard on the site. Article has about 780 words.